State, Feds must now get moving on positive agenda, says PTUA. The Public Transport Users Association has welcomed the settlement between the Andrews Government and the East West Link consortium for the sum of $339 million. 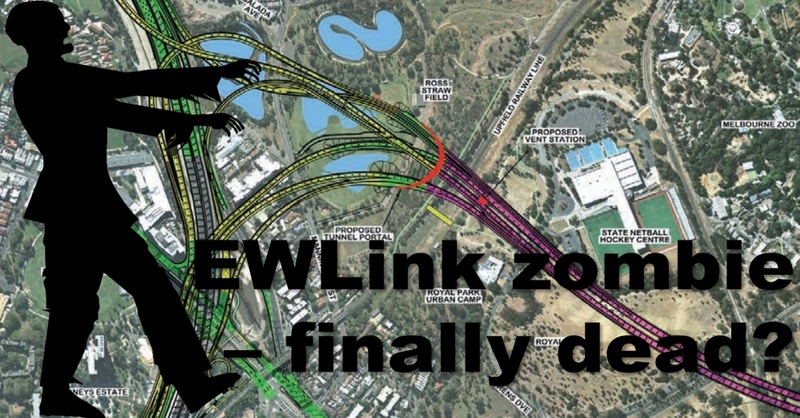 “After many months of claim and counterclaim from all sides of this affair it is a great relief for the people of Victoria to have closure on this zombie project – a planning and economic management debacle from start to finish,” said PTUA President Dr Tony Morton. “We cannot forgive the Napthine government for keeping the bad news in the business case secret, spending taxpayers’ money to tender for contracts and acquire peoples’ homes for a project with no mandate and no economic return, and then rushing to sign contracts before the November election – especially as the consortium was happy to defer financial close until December,” said Dr Morton. Dr Morton urged both State and Federal politicians to push ahead with a positive agenda for transport infrastructure. “There’s much to be done to fix up our public transport network in particular – most of it decades overdue,” he said. “The people of Victoria have spoken on numerous occasions and what they want is more rail services, faster and more frequent trams and buses, and repairs to our crumbling country roads and bridges,” said Dr Morton. Where’s the Doubling in Service?